At least one person has been killed and two more injured in an incident in the German town of Reutlingen. 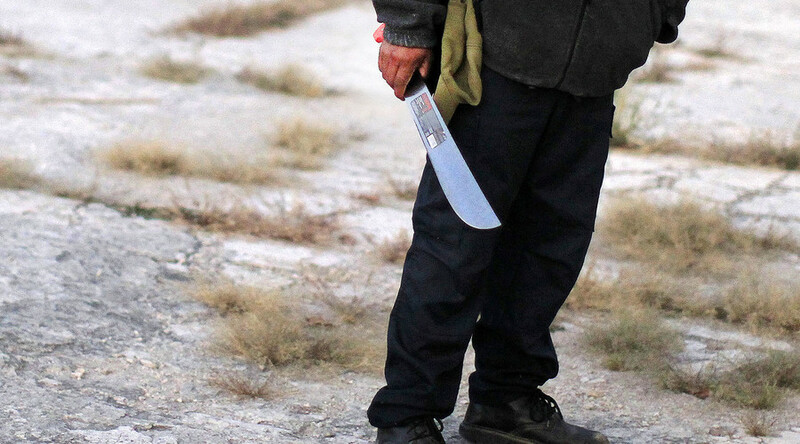 A man wielding a machete apparently randomly attacked passersby in the street. The man was identified as a Syrian asylum seeker, aged 21, who was previously known to law enforcement, the local police department said in a statement. The motives of the man are still unclear. The man could have killed the woman out of jealousy, AFP reported, citing police sources. Police also said that the killer knew the victim as they had both worked in the same place. The perpetrator apparently had no links to any terrorist organization, according to police. "Given the current evidence, there is no indication that this was a terrorist attack," police said in a statement, as quoted by Reuters. The man had an argument with a woman near the central bus terminal in Reutlingen, and during the altercation severely injured the woman using a machete.The woman died of her injuries at the scene, police said. The perpetrator was then detained near the scene “in minutes” after the incident but managed to injure another woman and a man, police added. The eye witnesses described the attacker to Bild as "fully insane," adding that he tried to attack a police car with his machete. The perpetrator acted alone and there is no further threat to the public, police added. Photos posted on social media show the alleged perpetrator lying on the ground, restrained by police officers. The attack comes two days after a gunman killed nine people and injured over 30 in a shopping mall shooting spree in Munich.